was discovered by Pierre Méchain on March 17, 1781 and was reported to Charles Messier, who included the object in his catalog. Appearing face-on, Messier 99, also designated NGC 4254 was the second galaxy in which a spiral pattern was identified by Lord Rosse in the spring of 1846. Also known as the Coma Pinwheel or Virgo Cluster Pinwheel, it is a 'grand design' Sc-type unbarred spiral with two giant arms. 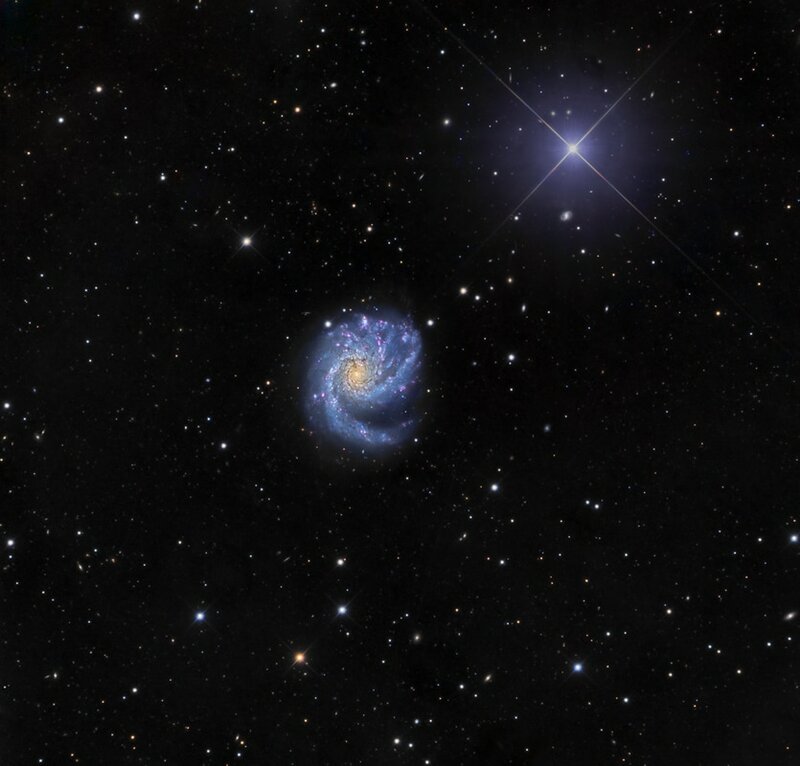 M99 has a linear diameter of 85,000 light years, and is 56,000,000 light years away. M99 also appears in this wide field with some of its neighbors. This data was acquired by SSRO in 2017.